The conference leading Red Bulls should provide a decent test as the Union travel up the Turnpike for their first game at Red Bull Arena. With wins over Seattle, Dallas, and Chicago, New York has taken 9 points in their opening 4 games, only losing to last place Chivas on a trip to LA. Though the Red Bulls currently sit on top of the Eastern Conference, they’ve only scored 4 goals in their first 4 games and are being largely led by some strong defensive play. After finding themselves in the MLS Cup Final in 2008, 2009 saw NY finish far and away as the worst team in the league with only 21 points and a -20 goal differential. The season also included a 16 game winless streak from May to August and a record 0 road wins for the entire year. But 2010 is shaping up differently with a new coach and a number of fresh faces. Players Brought In: It starts with new coach Hans Backe. The Swede has an impressive resume including stints at Panathinakos, FC Copenhagen, and Notts County. He has used his Scandinavian connections in adding excellent Estonian midfielder Joel Lindpere and Roy Miller, a Costa Rican who had been playing in Norway. Tim Ream was drafted in the 2nd round of the Superdraft and the St. Louis University product has been solid in central defense in his first MLS season. Welsh midfielder Carl Robinson was brought in from Toronto to provide a veteran presence. Salou Ibrahim has been brought straight into the starting line up as a target forward, coming over from Danish side Vejle. 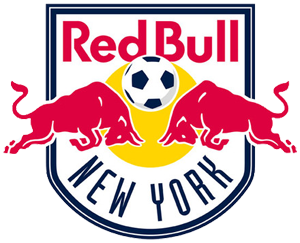 Players Departed: The Red Bulls said goodbye to roll players Ernst Oebster, Walter Garcia, Leo Krupnik and Matthew Mbuta. They released right back Carlos Johnson after he failed to live up to potential. Defender Danny Cepero was also dismissed and Albert Celades retired. Jorge Rojas has gone back to Venezuela. What to Look For and Who to Watch: Ibrahim maybe the target forward, but Juan Pablo Angel is the goal scorer. Look for the NY captain making runs from behind Ibrahim and being a threat every time the ball comes forward. Angel has established himself as one of the best hit men in the MLS and will be clinical with his finish given the chance. The midfield is run by Joel Lindpere, a natural left winger who has been converted to play the center and done so very well in the opening weeks of the season, distributing well and even coming up with a fine finish himself against Chicago. Dane Richards will attack down the right wing and the speedy Jamaican will give Jordan Harvey all he can handle. Bouna Coundoul will be between the pipes, the Senegalese international has been inconsistent but is capable of a strong performance. Tim Ream has stepped in and played well at center back straight from college. He’s joined on what’s been a solid back line by Mike Petke, Jeremy Hall, and Roy Miller. New York can be dangerous on the attack. Angel is possibly the best forward in the MLS and could trouble who ever is brought in to replace Danny Califf. Lindpere has been a revelation in the center of the park and will look to control the game with his distribution. Philadelphia will have to be diligent in their attack to break down a decent New York defense. Torres and Fred will have be influential and control the flow in the midfield, while Le Toux and Moreno must find more space in the final third. It should be a great match up and the start of a strong rivalry.